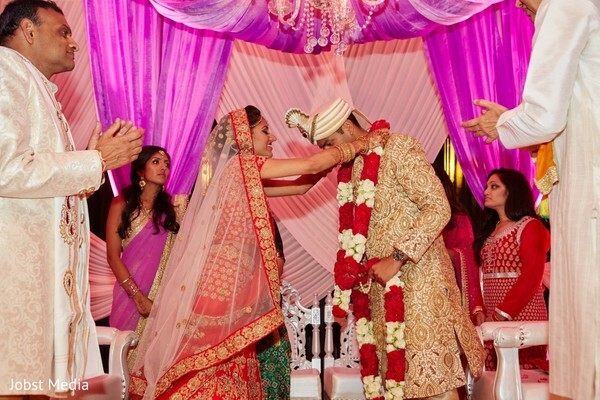 From elegant ballroom weddings, to beach side escapades, here at Maharani Weddings we have seen them all. 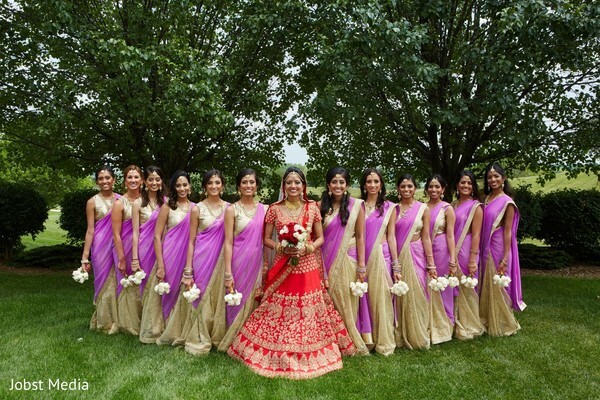 And, each Indian wedding always manages to capture our hearts. 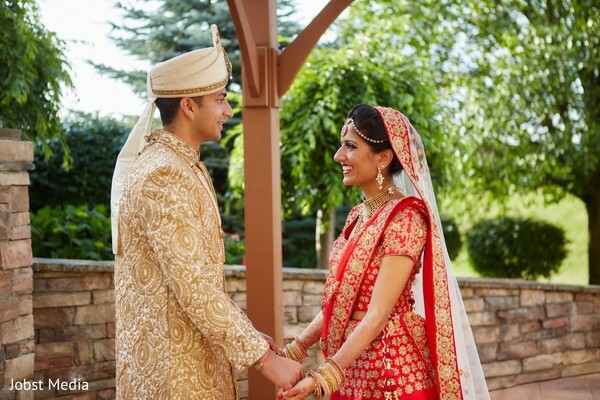 Such is the case of Priya and Kush who wed in eternal bliss at the Ann Arbor Marriott. 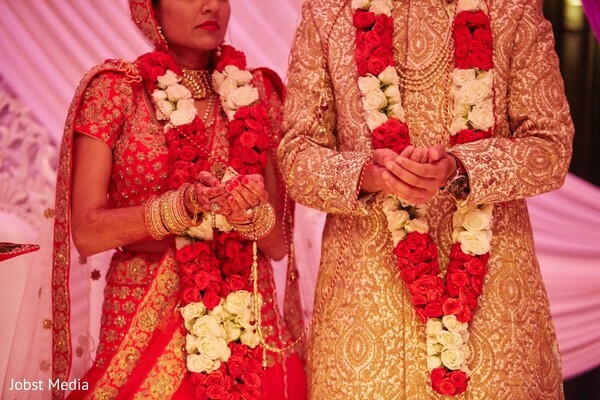 I knew right off the bat that this wedding was one that my eyes would adoringly gloss over after latching on to the fact that Utsav Planners, Inc. planned and designed this Indian wedding. Wedding planners always have the biggest roles in weddings. They spend a considerable amount of time researching, finding and securing the best of the best in wedding vendors and Utsav Planners, Inc. never seems to disappoint us when it comes to creating a fairy tale wedding. 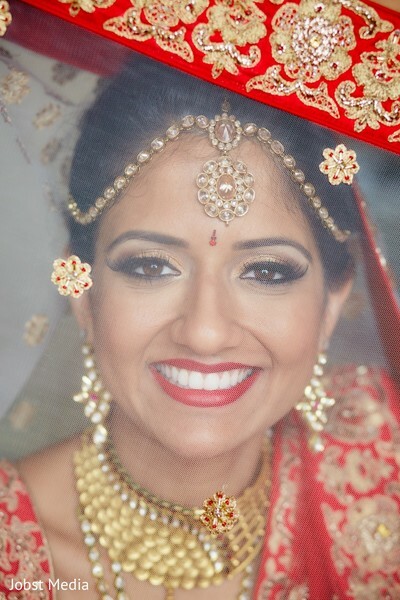 Maharani Priya knew was ready for her forever after and after being dolled up by her makeup artists, she took her guest's breath away in a red and gold wedding lengha with oversized kundan jewelry. 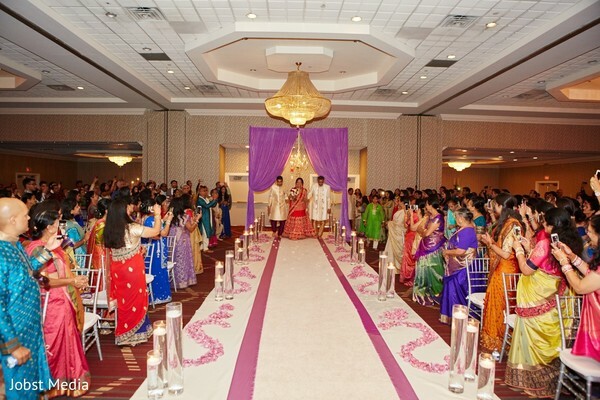 A royal purple mandap provided a dreamy backdrop that was intertwined with monarchical bliss. Brace yourself because the gallery by Jobst Media will knock you off your feet. Utsav Planners,Inc. and DJ Ice & Fresh Productions are members of the Platinum Guide. Love what you see? Explore their portfolios.